This project will be undertaken to evaluate whether the LeMaker Guitar is a suitable platform to run industrial strength SCADA. The SCADA system in question was a successful product many years ago and was applied to a variety of projects with blue-chip companies in such industries as pharmaceuticals, steel, nuclear power, power distribution, water treatment, and power generation. 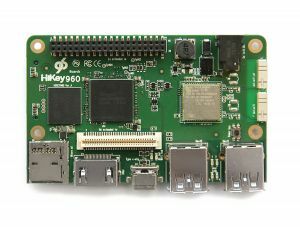 Some work has already been done to port the software to an ARM environment i.e. 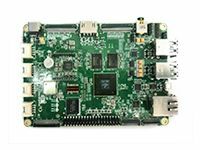 the Raspberry Pi, but the Raspberry Pi is less than optimal mainly due to its form factor. 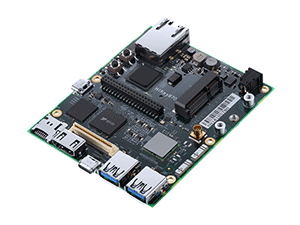 LeMaker Guitar is far more suitable in that the baseboard can be specifically designed to suit the product needs with traditional interfaces such as multiple serial communications (RS 232 and RS 485) and new communication technologies such as ZigBee. The project is actually quite simple in that we need to select the best operating system - the software must run the Linux so the current choices between Ubuntu Mate and Lemuntu - we must then choose a suitable development environment - current thinking is that Code::Blocks would be the most suitable - we must then recompile the existing source code to run on the new platform fixing any issues that arise due to working with the Guitar - the next stage is to test the application and produce a set of base data files for people to work with and finally produce an image that can be distributed to those that are interested. Choose the operating system - 2 weeks. This is not as simple as it sounds experience shows that all operating systems have their pros and cons; for example Ubuntu Mate has an annoying problem in that the cursor disappears when it has to change form and Lemuntu is a new distribution we have not worked with before based on Debian 8.2. On the LeMaker Guitar both OS's have problems setting up the video resolution etc. Select the IDE - 1 week. This could probably be done in less than one week since the choice is fairly easy. We need an open source IDE and the three main contenders are Code::Blocks, Eclipse and Anjuta. We just need to see which is the most suitable for the Guitar. Port the software and address any issues because of the new platform - 2 weeks. Two weeks seems a reasonable amount of time to do this work since any issues we encounter are assumed to be minor however we will have a weeks contingency in case any issues are more difficult than we expect. Produce a basic database and build an image - 1 week. We should easily be able to achieve this within one weeks' duration. Within this week we also expect fully document the process and produce a final report for general distribution. 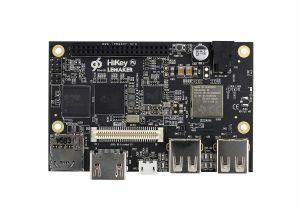 If the the fact that this is not open source disqualifies me from this LeMaker giveaway promotion then so be it.